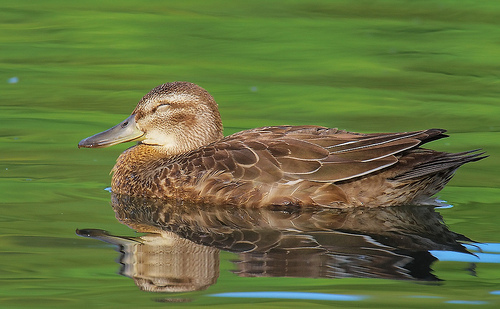 The Garganey is a fairly rare breeding and wintering bird in western Europe. In recent decades, the numbers further declined. 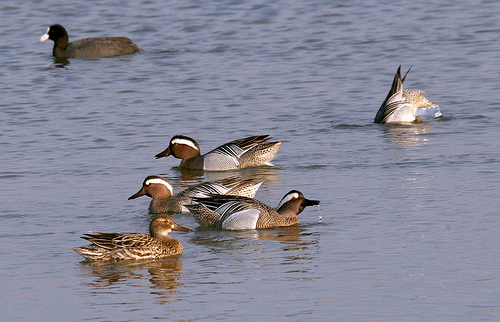 The Garganey has a brown head with a white eyestripe. The Teal has a plain brown head. The bill of the Garganey is larger.